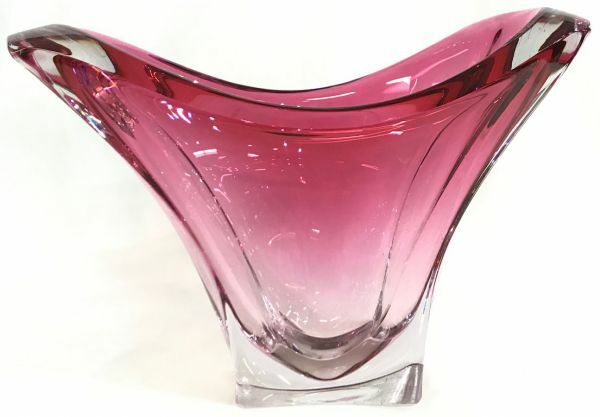 Vintage Val St. Lambert blown crystal vase, circa 1950s. Cranberry to clear, signed at the base. 5 1/2” by 11 3/4”, 8 1/2” high.